Do you research your competitors to make adjustments in your business? Consider comparing to businesses unlike yours to inspire you to build a better company. Let’s take a look at the sixth in FORTUNE MAGAZINE’s “100 Best Companies To Work For” 2011. Zappos (Zappos.com) does all of their business online with a fabulous team of call center employees. So how is it that we can compare the Zappos culture and core values to your company and your preparation for trade shows? According to Jamie Naughton, Speaker of the House for Zappos, there are many steps Zappos takes to be different from the average company. Three of their seven steps to building their brand can be applied to building a trade show plan: Build Your Team, Build Relationships, and Think Long Term. #1 Build Relationships – Zappos requires their employees to be interested in their customers, rather than trying to be interesting to them. The relationship between employee and customer is more important than making an immediate sale. For us at a trade show, when interacting with potential customers, we must listen to their needs and interests, rather than trying to be “cute” and taking over the conversation. If we build the relationship and the rapport, the sale will follow. Chances are very good the customer will be loyal and continue long after the show to do business with you. They are also more apt to refer more customers. #2 Build Your Team - Zappos hires slowly and fires quickly. Every new hire goes through a six week training program: 5 weeks of culture, core values, customer service, and warehouse training for everyone in their main office. Build your booth staff team. Help them to understand your show objectives, and the benefits your products and services have for your customer. Train them on the importance of staying in touch with all potential and existing customers. #3 Think Long Term- Excellent customer service is mandatory. Zappos is understood as a service company that happens to sell clothing, handbags, shoes, accessories, and housewares. 75% of Zappos’ daily business is with repeat customers. Trade shows are only for a few days, so empower your booth staff to answer questions, and represent your company and you. What happens at the show should not stay at the show; follow up to bring in future sales. Shake up your industry by applying this top company’s successful practices to your business model. Building relationships, building your team and thinking long term give your booth staff the tools to bring your company culture and customer service attitude to the show. 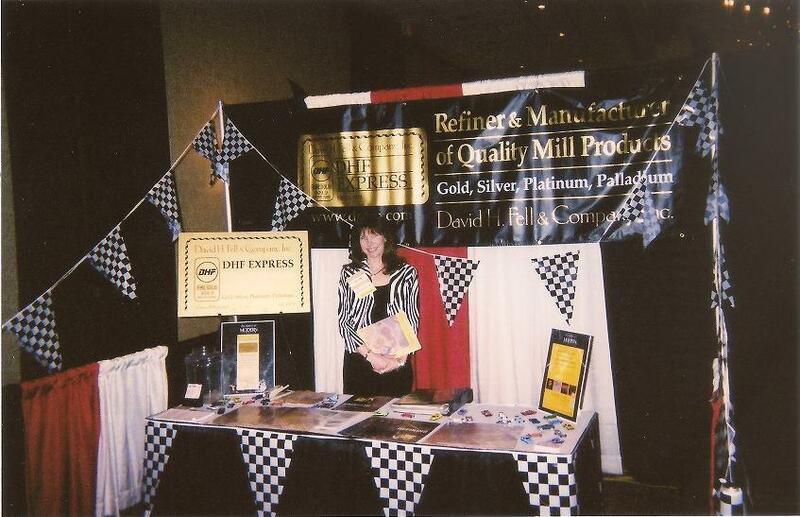 Visit www.BestTipsOfTheTrade.com/services or email Ruth to schedule a time to get your booth staff ready for their next show. 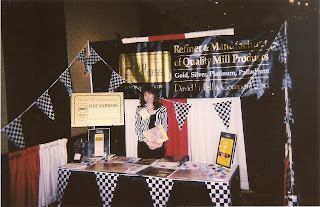 Trade show in Indianapolis, just weeks before the Indy 500 Race. Create an experience for potential customers entering your booth so when they leave, they will look forward to hearing from you. If you are looking for a speaker at your association meeting, religious organization, or before your next trade show, call on Ruth Failer to assist vendors and exhibitors with preparation strategies to bring more attendees to their booth and your show.